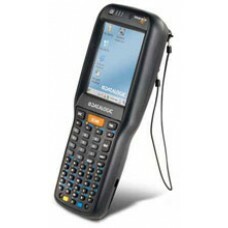 Whether in department or specialty stores, hyper or supermarkets, convenience stores, grocery or Do-it-Yourself stores, Datalogics Skorpio X3 mobile computer fits most any retail in-store requirement for mobile data collection or validation. With the optional pistol grip, it is equipped for demanding back-end receiving and warehousing environments as well. SINGLE SLOT DESK MOUNT DOCK, S.. SINGLE SLOT DESK MOUNT DOCK, SPARE BATTERY CHARGIN.. The next generation in the class-leading AC5712 M..